Your betta’s an intelligent, curious fish. So it’s no surprise they love having some toys and decorations in their tank to stay stimulated, happy, and active. 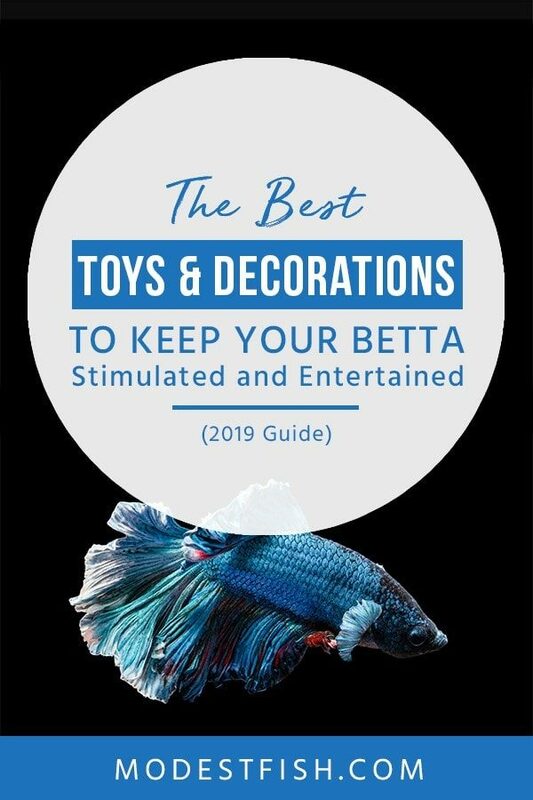 In today’s article, you’re going to discover the benefits of having toys and decorations for your betta, what to look out for when choosing. And then, at the end I’ll show you some of the best toys and decorations available today. Let’s discuss the main benefits of having in tank accessories to keep your betta entertained. Just like us, fish get bored. Particularly betta fish. 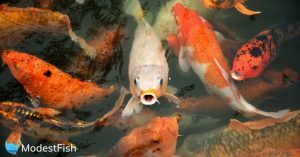 Seeing them float around aimlessly, perking up only at mealtimes, provokes people to want to buy a friend for their fish. This is a bad idea. Betta fish are highly territorial and aggressive to others. Also known as Siamese Fighting Fish, bettas do not take well to newcomers. However, being reared in isolation can harm your fish’s wellbeing if the appropriate measures aren’t taken. 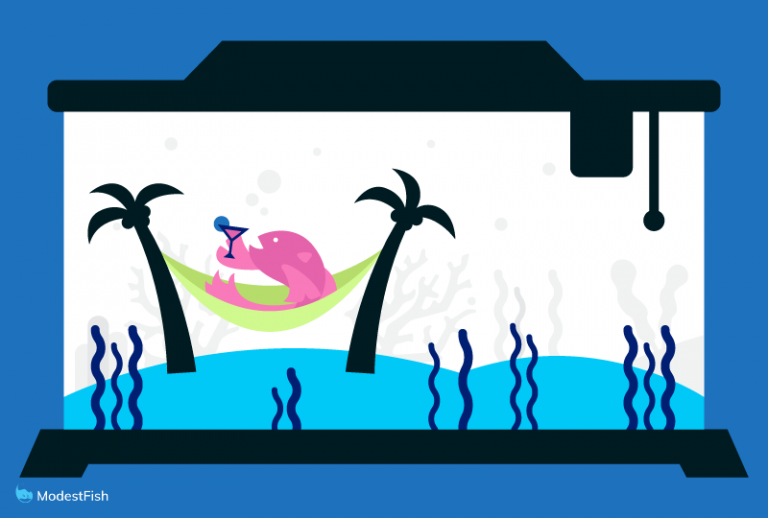 As it’s difficult for you to bring new life to the tank, you want to make the more entertaining–somewhere your fish. This can be done by adding toys and decorations to your aquarium. That way it gets all of the recreational benefits of having a playmate without being injured or eaten-alive. New tanks can be intimidating. Spending much of their early lives in tiny containers, no bigger than 1-cup, betta fish can become afraid when added to new, larger enclosures. So they love to hide. Introducing decorations to your tank gives your betta fish opportunities to hide, allowing it the time to slowly become familiar with its surroundings. This is great for your fish’s wellbeing. Bettas often hide in the wild too, underneath logs, on top of leaves and inside shipwrecks. They are playful and find enjoyment in darting in and out of hiding places. These natural concealers can easily be added to your tank. Leaf hammocks and foliage are simple additions that can significantly boost your fish’s happiness. Bettas love lounging on leaves in the wild. Often they rest upon naturally-growing plants, charging their energy and benefiting from the tannins and minerals given off by marine greenery. Bettas are highly intelligent. They’re great learners and you can quickly teach them tricks. Fish toys are a great way to begin teaching your fish tricks. 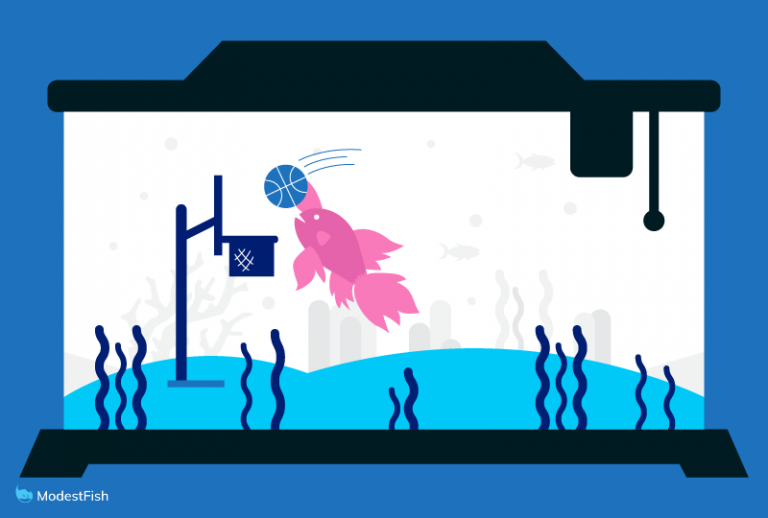 Ping pong balls and hoops can be added to your tank, allowing you to teach your fish elaborate and entertaining tricks. Not only will the exercise and stimulation from this benefit your fish, but it also serves to strengthen your relationship. It’ll begin to trust you. There are plenty of training resources available on the market, some of which we will cover later. Pro Tip: Rearranging your tank’s decorations once a month stops your betta from becoming bored of its environment. Choosing your betta’s toys and decorations isn’t rocket science. But, there are a few precautions you must take. Sharp edges should always be avoided. These can seriously harm your betta, scratching at fins and damaging their skin. Before adding anything new to your tank, it is always wise to quarantine your fish beforehand. This restricts the transmission of any diseases or parasites, ensuring that your fish remain safe. Ideally, you want to do this for 1-2 weeks, but, if you really can’t wait, 2-3 days should be okay. 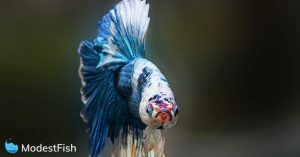 Let’s go through the best betta toys and decorations and discuss their benefits. 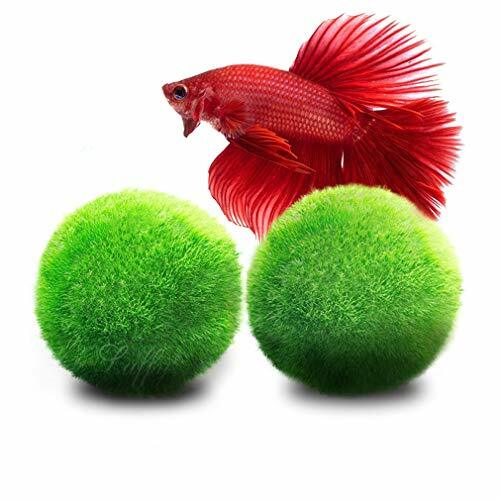 LUFFY’s live marimo plant balls are an inexpensive, effective way to stimulate your fish and improve its wellbeing. These balls sit along the bottom of your tank, rolling around freely. Betta fish love to push things around in the wild. This toy allows them to do exactly that. The balls also look attractive and won’t upset the ambience of your tank. They’re natural marimo plants, green in colour, assisting your fish in feeling more relaxed and at home. Marimos are also made up of living moss. These plants work to balance your tank’s water and will benefit your fish’s health. They absorb any excess nutrients in your aquarium which, left unchecked, can cause algae blooms. Best of all, the LUFFY Betta Balls require next to no maintenance. Aside from a squeeze from time to time to drain absorbed materials, they function perfectly when simply left to float around your aquarium. Keep your betta entertained whilst creating a bond with it. They’re fast learners and enjoy being active. 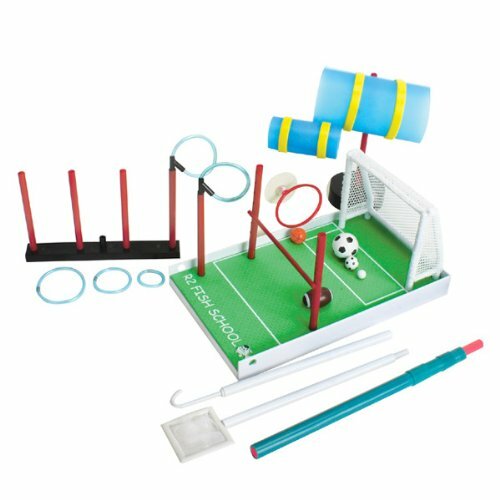 The R2 Fish School Kit includes many components to help you train your fish and encourage movement. It’ll allow you to teach your betta to play fetch, shoot hoops, dance the limbo and several other fun activities. This is all guided by world-renowned fish trainer, Dr Dean Pomerleau, in a 45-minute-long DVD included in the kit. The training kit is ideal for trainers of any experience level, particularly beginners. 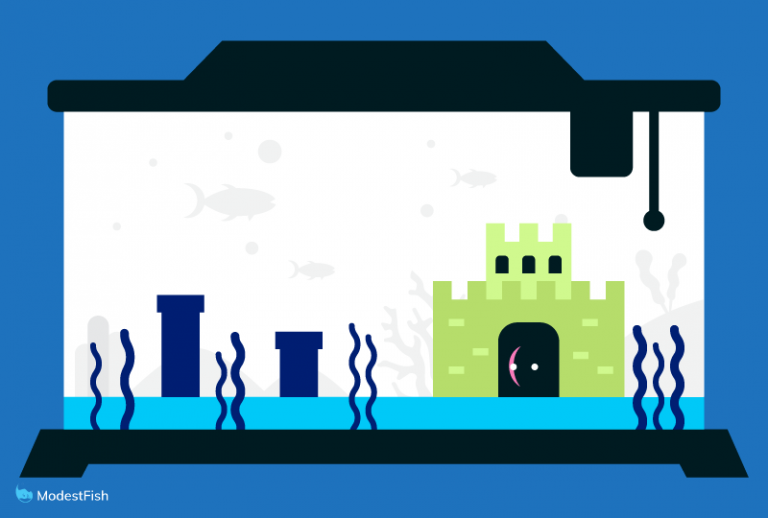 It’s also a fun, elaborate way to keep your fish entertained. While being mentally stimulated and quickly learning, your fish will also be getting plenty of exercise–helping to reduce stress. The R2 kit is easy to understand. It’s suitable for children, too, and contains over 25 different toys to train your fish with. 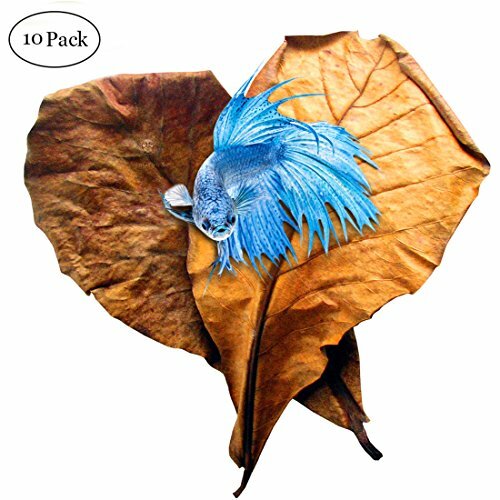 Your betta will love to chill and lounge on leaf hammocks. 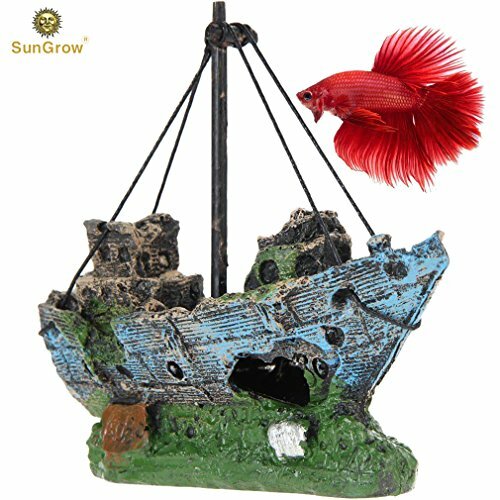 SunGrow Betta Leaves are rich in minerals that make for healthier, happier, more reproductive Betta fish. Transforming your tank into a natural Amazonian environment, they're perfect for Bettas to thrive and breed. These brown leaves act as a shelter for betta fish. And release minerals into the water, healing your bettas as they rest. Helping to reduce stress, they help recreate heir natural habitat, putting your fish at ease by balancing mineral content and giving them somewhere to play. Within 15-30 minutes of adding these leaves to your aquarium, they begin to release tannins that work to heal your fish. Unlike bottled black-water extracts, SunGrow’s leaves are chosen from naturally-growing leaves, carefully sterilised to remove any pesticides before being sold. Bettas love to nibble on these leaves, chill on them, and even lay eggs on them. This promotes reproduction and can be very beneficial to both aquatic hobbyists and breeders. Free from harmful chemicals, it won't upset your tanks chemistry and help create a natural environment. Betta fish love to spend time at the surface of water. Zoo Med’s real floating log, a piece of natural driftwood, maintains your tank’s pH while giving your fish a place to hide and a toy to play with. The log is entirely natural, free from harmful chemicals. That way it won’t upset your aquarium’s mineral balance. Additionally, the log has a hole in the top for feeding as your fish are likely to spend a lot of time resting inside of the log. Betta fish also love to hide. Ping pong balls mimic surface prey, allowing your betta to practice its hunting skills. 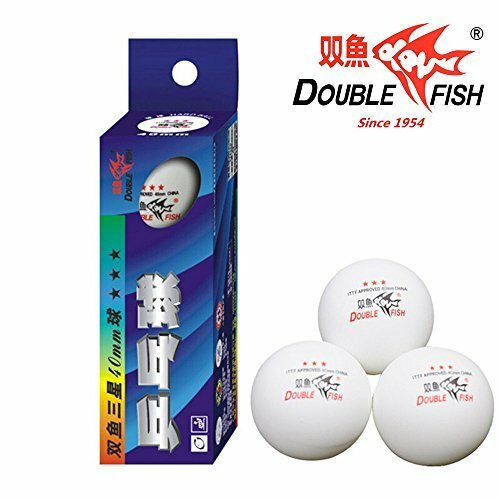 Double Fish’s Ping Pong Balls are a great way to keep your betta entertained. Betta fish naturally hunt from the surface of the water. 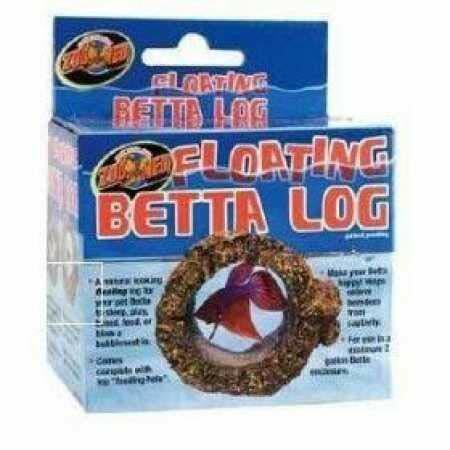 These balls float, allowing your betta to practice their skills and mimic their instinctive hunting behaviours. 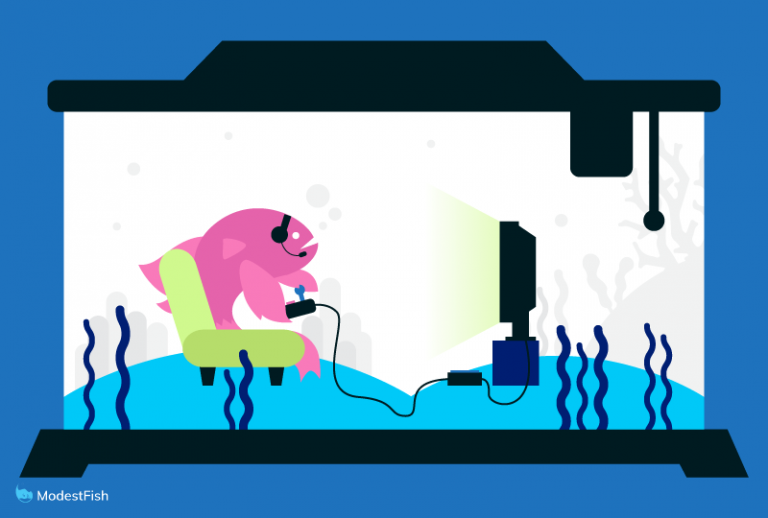 Fish feel far more comfortable when in environments they naturally evolved to live in. Adding ping pong balls to your tank gives your bettas an opportunity to hunt as though they would in the wild, improving their wellbeing and keeping them entertained. Cavelike holes lets your betta freely swim, hide, and play. Providing an ideal habitat for interaction and expression. 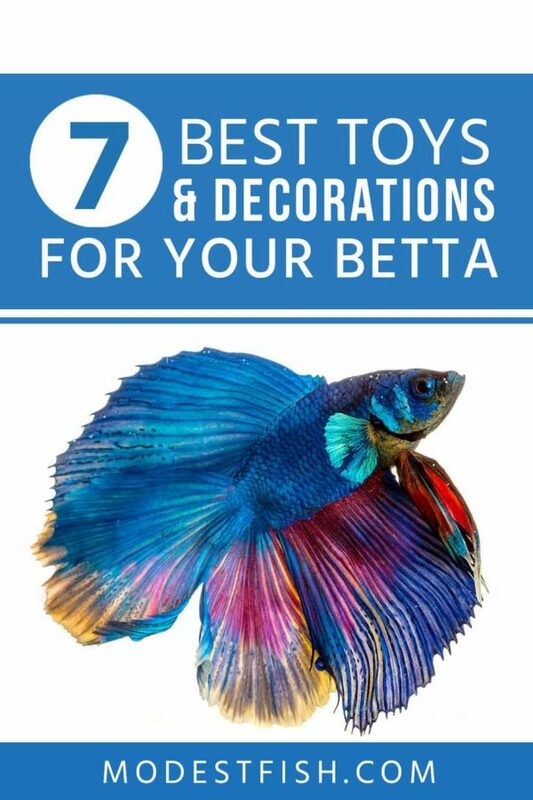 Toys and decorations are essential to the wellbeing of your betta fish. Being naturally aggressive to other fish, bettas are best kept in isolation, therefore it is vital that they are kept entertained in other ways. My chosen favourite from the list above is LUFFY’s Betta Balls. They’re inexpensive, entirely natural, perfect for betta fish and even work to improve the quality of your aquarium’s water. The balls require little to no maintenance and are a safe option for all types of fish. 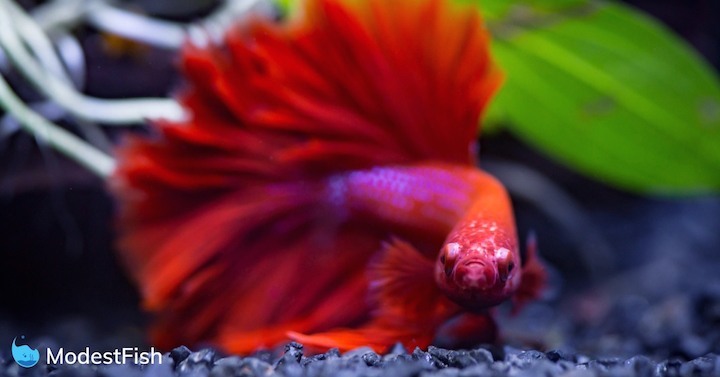 We’d recommend them to all betta owners wishing to improve their fish’s wellbeing quickly, safely, and without having to spend too much money. It’s always a good idea to add several decorations to your tank. Shipwrecks, leaves, foliage and balls are all excellent additions which can work to stimulate your fish, boosting its wellbeing, reducing stress and creating an environment in which your bettas feel at home.